The new monthly Facebook challenge starts today at All Dressed Up Digital Stamps. The theme is "Things with wings". You have to check out what the Design Team has created for this challenge! They are amazing!!! For my card I used an image from the All Dressed Up Etsy shop called Flyaway Butterfly. I colored her up with my Copic Markers. 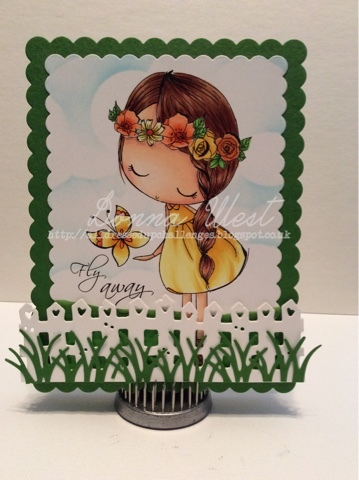 The little fence is from a LaLa Land die. The rectangle scallops are from Lawn Fawn. The grass is from Impression Obsession. 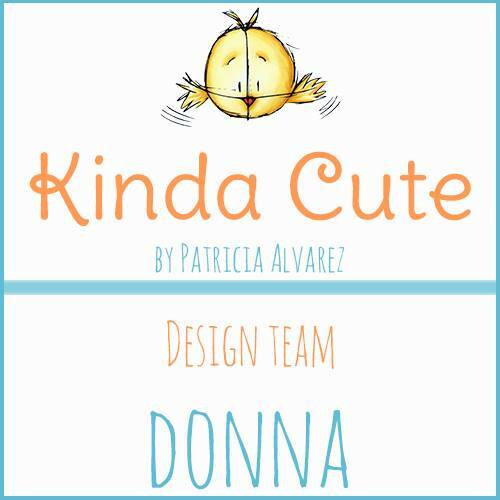 So cute, Donna. Love it!